Spring has brought an early crop of go books, some brand new and others re-issued in new formats. 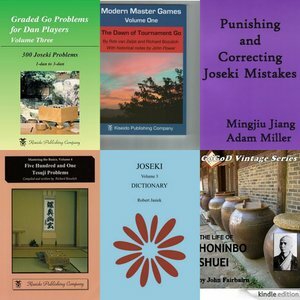 Here are six that have just been released, two each on joseki and tesuji, a historical look at tournament go in Japan and a bio of “Meijin of Meijins” Honinbo Shuei. Don’t let the “4-dan to 7-dan” subtitle of Kiseido’ s 300 Tesuji Problems scare you off. 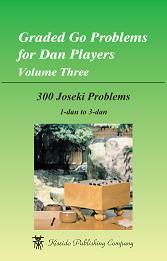 Though the problems in this book, Volume 5 of the Graded Go Problems for Dan Players series, are quite challenging, “even if you are unable to solve them, contemplating the problems, then studying the solutions will broaden your tactical horizons by revealing new possibilities in fighting techniques,” says go publisher Richard Bozulich. 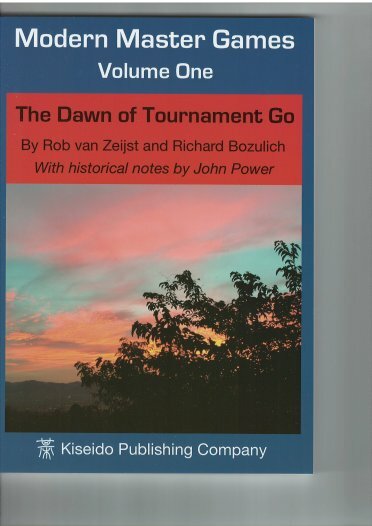 Also new from Kiseido is Modern Master Games, Volume One, The Dawn of Tournament Go by Rob van Zeijst and Richard Bozulich with historical notes by John Power. A survey of Japanese go from the founding of the Honinbo tournament in the 1940s to the Meijin and Judan tournaments in the 1960s, Modern Master Games contains eleven exciting games with detailed commentaries that chronicle the Japanese go scene during the Second World War, including the “Atomic Bomb Game” between Iwamoto and Hashimoto, and the rise of Sakata and Takagawa’s dominance of the Honinbo title in the post-war era. Kiseido notes that many of their books “are now available on the iPad and iPhone through Smart Go.” Available books can be purchased by downloading the free SmartGo Books app from the App Store, then use in-app purchase. New titles are being added regularly. 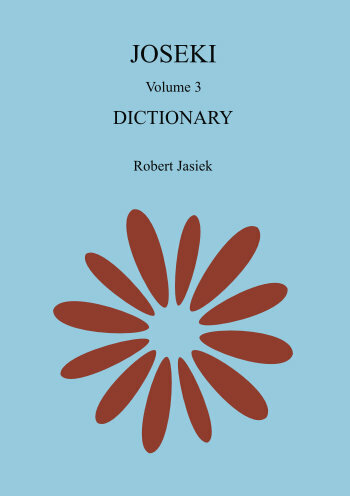 Volume 3 of Robert Jasiek’s Joseki Dictionary completes the German 5-dan author’s joseki series. Jasiek’s intent is to make learning joseki easier with a method of evaluation that enables players to “distinguish equal from one-sided results correctly” and emphasizes understanding strategy and judgment. 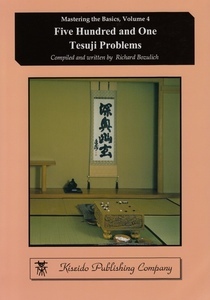 His dictionary explains the strategic choices in each joseki, evaluating the territory and influence of each sequence, identifying types of josekis, from “finished thick settling” to “lean and attack.” Using databases of professional games, Volume 3 includes modern josekis and 130 mostly professional game examples. Click here for a sample and Jasiek’s overview. 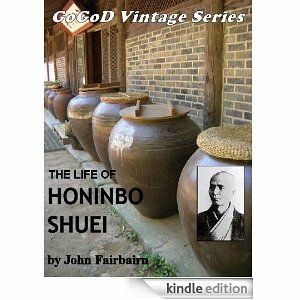 GoGoD is releasing a new e-book for the Kindle, The Life of Honinbo Shuei, Volume 1 of a trilogy, The Life, Games and Commentaries of Honinbo Shuei, by John Fairbairn. A famous go player in Japan at the end of the 19th century, Shuei was known as the “Meijin of Meijins” and is still revered by many modern professionals. Overcoming a life full of hardship and controversy, Shuei rose to dominate the go world in his forties, a classic example of “great talents mature late.” This first volume covers Shuei’s biography, with forthcoming volumes to provide detailed commentaries on about eighty of his games and commentaries by Shuei himself on games by other players. 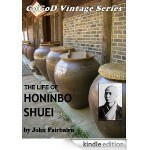 Volume 1 covers Shuei’s own life in detail, and sets it firmly in the context of the go scene and the social and political scene at the time, especially the long-running spat between the Honinbos and the Hoensha. Included are juicy tidbits like the tragic end of Honinbo Shuwa, Shuetsu’s breakdown, the fate of the Driftwood Board, the sordid truth about Shusaku’s Castle Games and why Shuei disappeared from the go scene for years at a time.